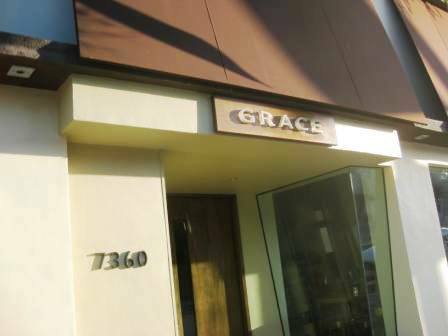 Sunday is Burger night at Grace Restaurant. Apparently I bought two Bloomspot certificates for a total of $120 worth of food at Grace. Not sure what I was thinking when I bought it, but yeah, that’s a lot of burgers and milkshakes. The 2nd time I came here I got the swordfish and blueberry crisp while B stuck with the burger. I went with B, Nicola and her boyfriend Joe for a double date burger night, except I didn’t get the burger. I wanted to try some of their regular menu items, and since B was getting the burger, I had full permission to steal a couple bites. 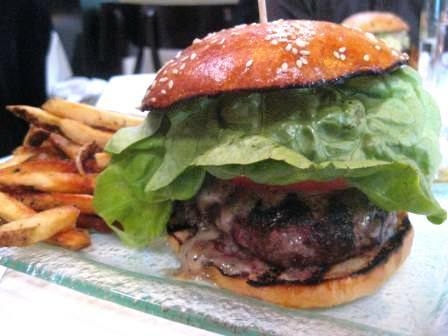 Gourmet burger made with dry-aged beef and your choice of buttermilk blue, gruyere, or truffle cheese. Not that you need anything but the beef, the burger comes with fries, pickles, ketchup, aioli, and a fleur de sel bun, all house made. Behold, the infamous burger. We all pondered why they made a burger night in the first place. You would think if something is called Burger night, you would have a couple of burgers to choose from. Nope, it was one burger with all the fixins, nothing too fancy. Although I was impressed by it’s size, no Umami-size burgers here. 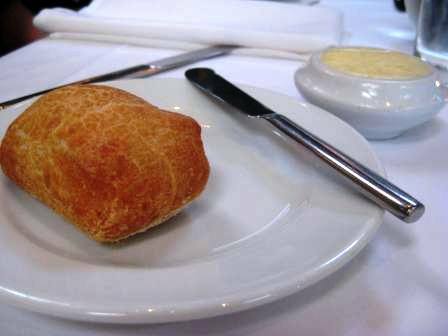 You got to choose between bleu cheese/gruyere or truffle cheese ($18/$21). I had a taste of the burger and it was juicy and flavorful. B loved it as well, coming from the burger connoisseur himself. Although, if there were even the tiniest slab of bacon on the burger, it would have won him over instantly. 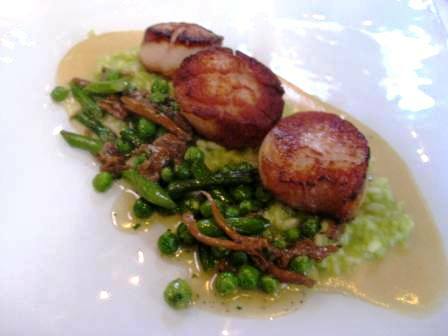 I love all things scallops and this dish did not disappoint. The scallops were huge and meaty, perfectly sauteed with a browned crust on the outside. The risotto was well seasoned and not overly creamy. One thing I like about this restaurant is the simplicity of their dishes. No fancy or hard to pronounce ingredients, everything is clean and well balanced. I got this dish the 2nd time around and was surprised to see more additions on their menu from the previous week. 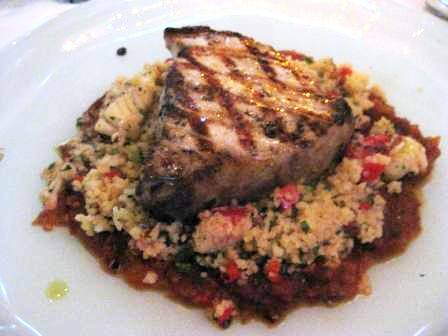 They offered a lot more seafood dishes and was pleasantly surprised to see a swordfish option with lobster couscous for a reasonable price. The fish was charred nicely on the outside and the meat itself was delicate, but substantial. I love the addition of lobster chunks to the couscous. 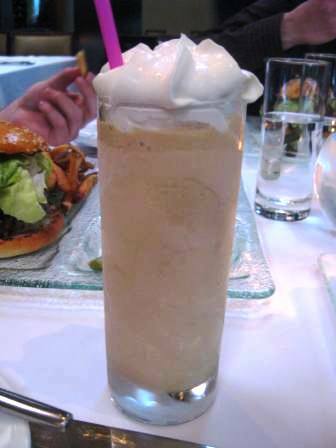 Overall, a very refreshing and tasty dish that I would get again. Loved this dessert. Sure this dish wasn’t anything I haven’t seen before, but the combination of the piping hot blueberries and blackberries and the cold ice-cream is to die for. 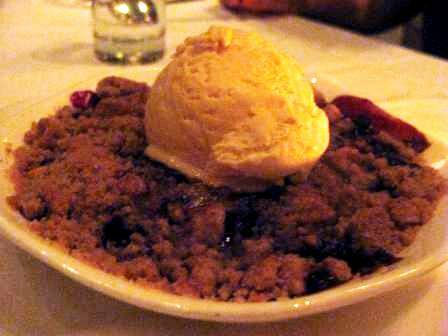 Not even mentioning the crumbly, buttery spiced crumble on top. Everything was so texturally perfect. I had to put my spoon down after a couple bites or else I would have eaten this entire dish. 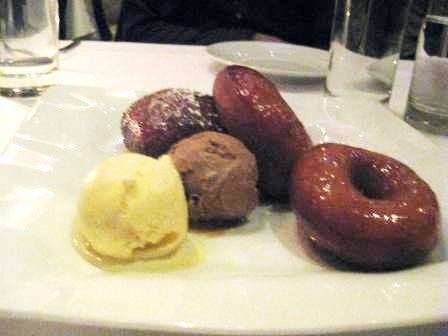 I would skip the donuts and just order this dessert. So so good. So everyone and their mom has heard about the infamous doughnuts at Grace. They even have a special day dedicated to these little doughnuts. Needless to say, our expectations were pretty damn high. We really didn’t even have to look at the dessert menu to figure out what we were having. I came to Grace to solely try these magical doughnuts. Honest opinion? They kind of just tasted like doughnuts! I couldn’t really taste the salted caramel or the buttermilk brown butter. It all tasted fairly similar. Maybe my taste buds aren’t refined enough, but in the end, doughnuts are doughnuts. I have my eyes on the sticky toffee pudding next time around. The donuts at Grace have definitely gone down hill since I had them last year. My friend and I went back just for the flight a few weeks ago and I couldn’t have been more disappointed! It’s not just you – they really are “just donuts.” Not cool considering the $18 price tag!